Well, I know that the announcement for the winners for the Razzies came out already but I still wanted to write about it. Anyway, I can’t really say anything about most of the movies and/or actors who were nominated because I never saw the movies. All I can say is that I’m not surprised that Eclipse had so many nominations. I mean, to me, it was not the best movie from the three that already came out. Personally, I thought that the first one was the best, which is not saying much. There are so many reasons why I’m not surprised why Eclipse got so many Razzie nominations. First, like I said before, the story was a bit disjointed for me. The scenes didn’t flow as well as I would have liked. Plus, that they left out some information out, like how some of the pack members, other than Sam, imprinting. Second was Kristen’s performance. As usual, she was horrible. But then again, it’s not entirely her fault. Bella is an extremely boring character. A while back, the cast for the new Breaking Dawn vampires were announced. I can’t really say if a majority of the actors chosen will do a good job of playing their respective characters. I have already given my opinion on Casey LaBow. As for Judi Skekoni, who I saw on an episode of NCIS, I think she can pull it off. I think that Noel Fisher, who I saw on an episodes of Bones, also can pull off his character. It’s the same with Rami Malek, who I know from the Night at the Museum movies. Anyway, I’ll just have to wait and see how the other actors do when the movie comes out. I was on TwilightMoms recently and saw a post about who was cast as Sasha, the mother figure to Tanya, Kate, and Irina. I looked at the picture of the woman who was cast. As I looked at the picture, I thought to myself, she looked familiar. To me, she looked like the mom of the main werewolf character from the tv show The Gates. So I looked up the woman and it turned out that it was the same woman. All I can say is that I think Andrea Powell is one of the few people who has switch sides from werewolf to vampire. 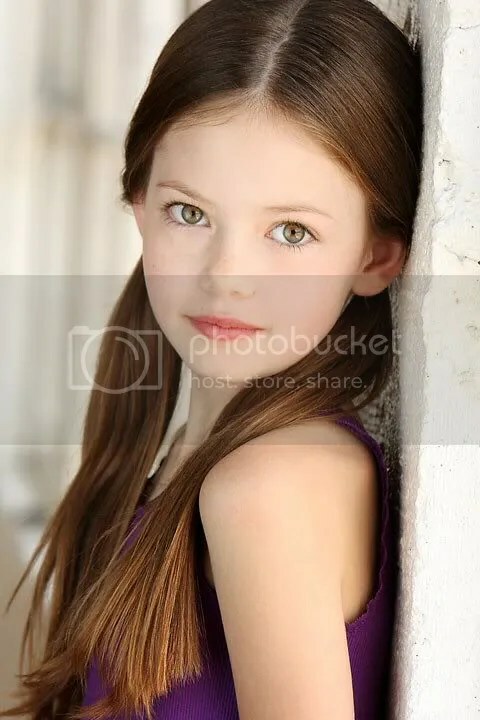 When I found out that Mackenzie Foy was cast as Renesmee, I thought to myself, how are they going to make her into a baby/toddler? Because Mackenzie is obviously not a little kid, let alone a baby/toddler. 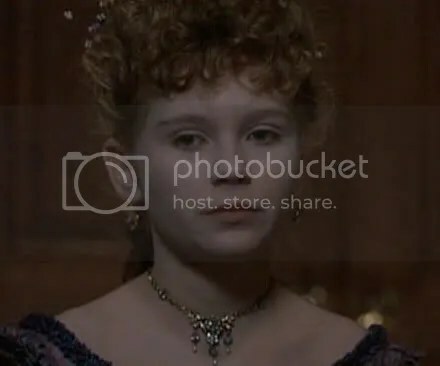 I mean, I can understand why the casting director chose an “older” actress to play such a young character because that’s what they did with Claudia aka Kirsten Dunst from the movie version of Interview With The Vampire. What I mean by that in the book and movie, Claudia is basically a fully grown woman who’s trapped in a 6-year-old body. So, when they were casting for Claudia, they wanted to cast a slightly older actress to play her because there was no way that an actual 6-year-old actress who could even remotely act the necessary emotions, intelligence, etc., that is required from the character. So, what I’m basically saying is that an actor/actress who is actually the same age as the character might be able to play the necessary maturity that the character calls for. Anyway, as for whether or not Mackenzie will be good as Renesmee, I don’t know. I haven’t seen her act. Last month, I found out that Judi Shekoni was going to be playing Zafrina, from the Amazonia coven, for Breaking Dawn. As I looked at her picture, it dawned on me that she guest-starred on an episode of NCIS, the one where the model died on a Navy or Marine base while filming a reality show. Anyway, the reason I’m bringing this up is because at first, when I saw that episode, I thought that she was the same actress who played Eddie Murphy’s wife in The Haunted Mansion. So, I looked the woman who played Eddie Murphy’s wife in The Haunted Mansion, aka Marsha Thomason, and realized that Marsha Thomason and Judi Shekoni were two separate women. To me, they could pass for sisters. Anyway, that’s just what I think. Back in September, I found out who was cast as the Denali clan from Breaking Dawn. And it turns out that Casey LaBow, who played Cherish in an episode of Moonlight, will play Kate. Well, I can’t remember how Kate was, personality wise, but in terms of looks, I can totally picture her as a vampire. Anyway, I’m interested to see how it turns out. Yesterday, I saw the third movie in the Twilight series. Well, it was quite different from my New Moon experience. Since yesterday was a Tuesday and given what time I went, there weren’t a lot of crazy fan girls. Anyway, my opinion of the movie would be three stars out of a possible five stars. I have my reasons for that rating. My major reason is that it seemed choppy. What I mean by that is the scenes didn’t really flow. It just went from one scene to the next with no explanation. One would be at the graduation party when it goes from Alice having a vision of the battle to the Cullens, Jacob, Quil, and Embry talking about the newborns and training. Another reason for my rating was how the plot was written. In this case, I wish that they kept the scenes in order. For example, the thing with Bella’s red shirt. In the book, Bella figured the connection between the shirt and the newborns out right before the graduation and told Alice. In the movie, it was Alice who figured it out and it was at the graduation party. Anyway, my last reason was the back stories. I wish that they had shown Carlisle finding Rosalie, Jasper and Alice meeting, and a little bit more of the Quilete tribe’s backstory. I also wish that Jacob at least make mention of Quil and Jared imprinting on Claire and Kim, respectively, when he was explaining imprinting to Bella. Anyway, those were my reasons for my rating. By the way, is it just me or did the scene where the newborn vampires come out of the water remind anyone of the scene from Pirates of the Caribbean 1 where the evil pirates were walking in the water underneath the Dauntless towards the end of the movie?